Air source heat pumps can be retrofitted into existing installations to replace the boiler for both hot water and heating. This is often cheaper than replacing an existing oil boiler, and costs less to run too! It is possible to use the existing heat emitters (radiators) if they have a suitable heat output. A survey will be required to enable us to calculate the existing output of your radiators, and we will be able to advise you on what you need to do. 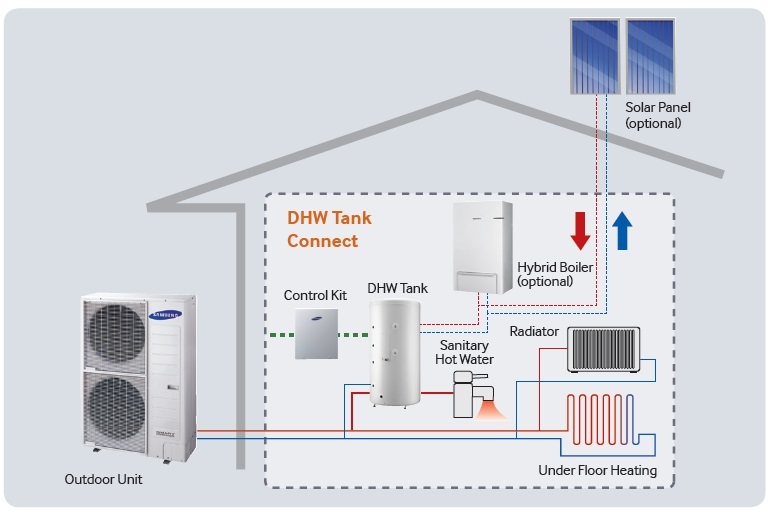 Air source heat pumps can also be used to supplement existing boilers (Hybrid System). This is useful if your property has poor insulation and you are unable to upgrade it (eg full stone walls). The heat pump can provide the majority of the heating throughout the year, and when it is very cold the existing heating source can also be used.